For the vast majority of American kids, their entire school experience will be determined by their age and neighborhood. Children of the same age and from the same place are carted off in buses to centralized buildings where they shuffle from classroom to classroom in 45-minute blocks throughout the day. A one-size-fits-all lesson plan will be dictated to them, irrespective of their individual minds, desires, needs, histories, and talents. Some parents seeking to avoid this cookie-cutter eduction do so by enrolling their kids in private schools. Others choose homeschooling. But for thousands of American families, the Montessori education method is the alternative that brings the best out in their child. 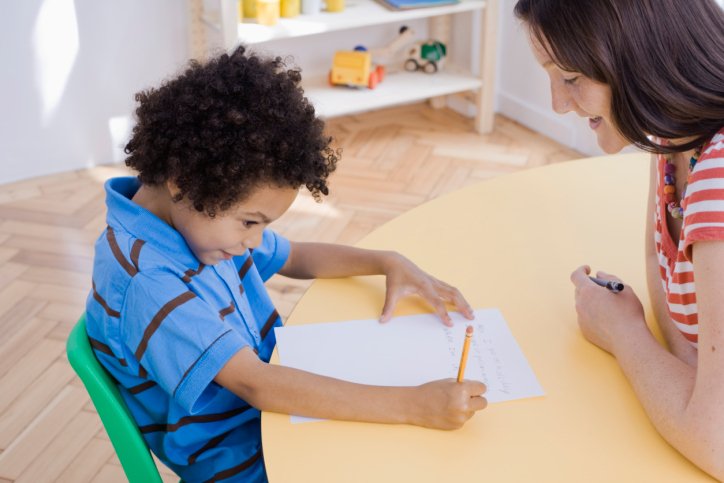 The Montessori system offers students the opportunity of a guided choice to their own syllabus. Pioneered by Italian teacher and psychologist Dr. Maria Montessori at the end of the 19th century, the Montessori philosophy has been in practice across the world for more than a hundred years. Although the alternative education philosophy lost steam in the United States shortly after showing promise in the early part of the 20th century, it gained momentum again in the 1960s. There are currently more than 4,000 Montessori schools in the United States, and thousands more across the world. Although different schools have different implementations, and standards vary in different countries, there are several core principles that must be present for a program to be considered authentically Montessori. One of the program’s primary trademarks is the inclusion of children of different ages in the same learning environment. The multi-age format – which mirrors the real world in which people work and interact with people of different ages – is central to the success of the Montessori program, but proponents also stress the need for large chunks of uninterrupted work time. Also, Montessori programs require “freedom within limits,” in which students are allowed to pursue a guided choice of their own work activity. Central to the Montessori philosophy is that the child, teacher, and environment are equally important parts of what is referred to as the learning triangle. It is the teacher’s job to create an environment that encourages the students to exercise their own free will – within the boundaries that the teacher has created – to pursue a course of education that is tailored to them as an individual, as opposed to uniform instruction by one teacher to dozens of children of the same age. According to research, young children educated at an early age through the Montessori method enter elementary education far better prepared than their peers. Some young college students who are on course to earn among the best degrees for 2017 have backgrounds in Montessori education. Montessori encourages spontaneity in children. The public school format is not for everyone. Although largely unknown by many parents, the Montessori system is radical in that it mixes children of different ages and affords them the opportunity to choose their daily coursework. Montessori has followers across the world, and for many Americans, it provides relief from what they feel is an impersonal and ineffective traditional school system. Andrew Lisa is a freelance writer living in Los Angeles. He writes about childhood education and alternative-education methods. « 10 Baby Gifts Any Expecting Mother Would Love!